This is quite the week for Netflix. The series that turned them from a content provider into a content creator, House of Cards, will post its second season on the service tomorrow. That’s not the only big show coming soon. The final season of Star Wars Clone Wars will debut on Netflix. This is a huge coup for the provider, probably benefitting from their deal with Disney to stream their films and their upcoming partnership on four Marvel Universe series.Entitled “Clone Wars: The Lost Missions”, the final season will have 13 half-hour episodes tying up storylines that have run through the series from the previous five seasons. As fans know, there are a lot of questions to tie up before the animated focus shifts to the new Star Wars: Rebels series. Those who haven’t been along for the ride the whole way are in luck. The entire series will be popping up with “The Lost Missions” so newcomers and veterans alike can enjoy the entire run. When Disney announced The Clone Wars cancellation, I was extremely disappointed. The series has been outstanding and really the flagship of the entire Star Wars franchise since the end of the prequels. 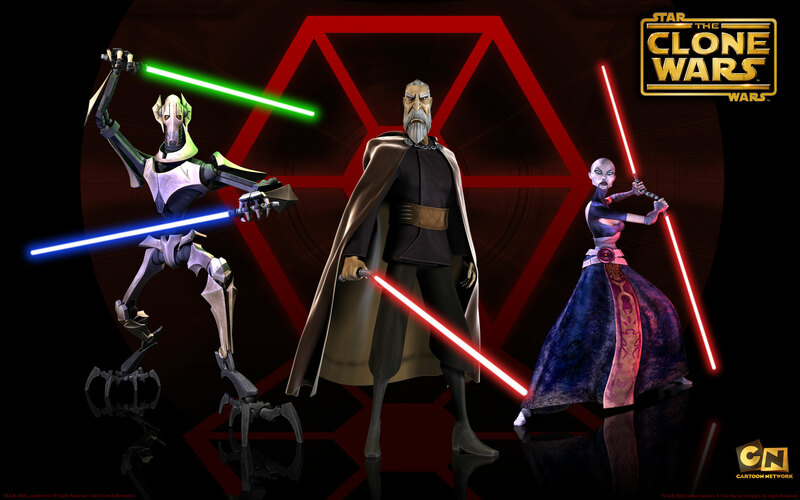 Moreover, it improved every season and brought depth to the characters introduced in the prequels (particularly General Grevious) and introduced new characters like Asajj Ventress, Savage Oppress and Ahsoka Tano. The last of those characters, Anakin Skywalker’s Padawan, is the focal point of much of the curiosity entering the final season. The assumption is that things don’t end well for the character as the series takes place between Episodes II and III and Anakin has no Padawan when he falls to The Dark Side. Also to be addressed are the Mandalorians, the resurrected Darth Maul and the very nature of The Force itself, brought to light in what I think is the best arc of the series “Mortis”. I’ll paste the entire announcement from Netflix below. Less than a month until we get the grand finale! The Galactic Republic, Disney/ABC Television Group, Lucasfilm and Netflix Inc. today announced the highly-anticipated debut of the sixth and final season of the Emmy Award-winning series “Star Wars: The Clone Wars” exclusively to Netflix members in the U.S. and Canada on Friday, March 7. Accompanying the 13-episode new season dubbed “The Lost Missions” will be the entire “Star Wars: The Clone Wars” saga, which includes several director’s cut episodes never seen on TV as well as the feature film. This multi-year agreement also makes Netflix the exclusive subscription service for the entire “Star Wars: The Clone Wars” series. In these eagerly anticipated episodes of “Star Wars: The Clone Wars,” some of the deepest mysteries of the conflict between the light and the dark sides of the Force are revealed. An intrepid clone trooper discovers a shocking secret, Anakin Skywalker’s closest relationship is tested to its limits and what Master Yoda discovers while investigating the disappearance of a Jedi could forever change the balance of power in the galaxy. Fans will not only be able to watch the thrilling finale, they’ll be able to see more of “The Clone Wars” than ever before as Netflix will also stream the director’s cut of seasons 1 – 5. 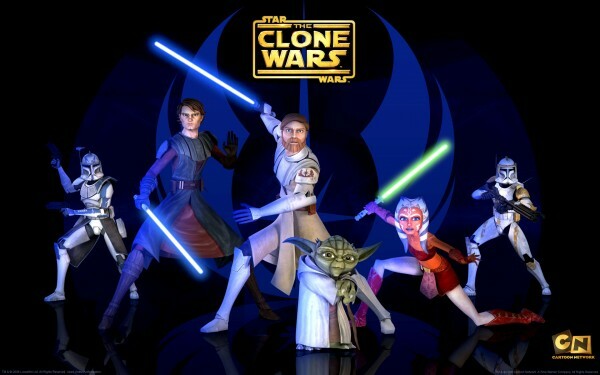 “Star Wars: The Clone Wars” is the first time any Star Wars content has been available for Netflix streaming members. The deal follows a recent announcement from Netflix and The Walt Disney Company to bring multiple original series based on Marvel characters to the service in 2015. Netflix will be the exclusive U.S. subscription television service for first-run, live-action and animated movies from the Walt Disney Studios including titles from Disney, Walt Disney Animation Studios, Pixar Animation Studios, Marvel Studios, Disneynature and Lucasfilm beginning in 2016. Netflix members can currently enjoy a wide range of Disney, ABC Entertainment Group and Disney Channel films and TV shows across the 41 countries where Netflix operates. There was never any doubt, but good news just the same. What I want to know is, when will we finally get to see Detours? I am, of course only kidding. There was never going to be a show called Detours, and no one will ever convince me otherwise. There was no way Lucas was ever going to give the fans everything they wanted in just six hours of prequel screen time, so he didn’t even try. Instead he limited himself to telling a very specific story. In the OT peripheral things were always going on in the background of every shot, but because the PT has a much more complicated plot, a lot of fans felt cheated by all the stuff that was left in the background, or unseen, or unsaid. I think that a lot of detractors will come to see the PT differently when they see what an incredible canvas it turns out to be. Clone Wars was/is a gift, and there are many more to come. Clone Wars made me love that era a lot. I hope some of the original characters from the show find their way into a film one day. I have no doubt that characters from Clone Wars will turn up in the films. Clone Wars was the start of the quality control era for SW spinoffs, and now the line between the spinoffs and the films will basically disappear. I would not be surprised if the term “Expanded Universe” disappeared as well. I have never been a fan of the Expanded Universe; too much was produced, and most of it just feels arbitrary and repetitive to me. I hope that, in getting it under control, they don’t just fix the continuity. I hope they purge it like Darth Vader on stray Jedi. These are exciting times! I was thinking more along the lines of Asajj Ventress…..no I think Ziro was dealt with quite well eventually by the show itself. I’m not sure what is canon anymore. I think the novels pre-ROTJ still are, but no clue. And this is another savvy fan friendly franchise move from Disney. Impressive. Most impressive. We have reached an age where the important thing is how vocal you are, not how many people you represent with your opinion. These days, if your core fan base is in a state of negativity, it reflects badly on your films. And that certainly was not true in the past, even the recent past. Disney is the first to pick up on this new fact of life, but others will follow. It will soon be standard practice to make the fans happy, whatever the franchise might be.